Eugen System's upcoming title European Escalation will see you travel around mediterranean Europe to protect the monetary union, hunting down tax evaders, bringing to justice corrupt government officials who provide false numbers about their country's GDP, and assassinating presidents who just want to retire with their teenage sweetlings and their media empire millions. Woops, wrong title and reality. 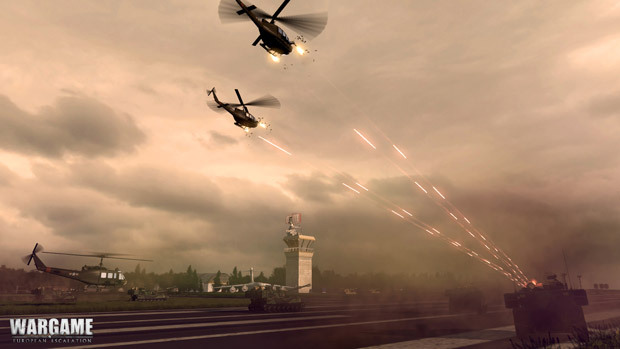 Wargame: European Escalation is actually a bit like R.U.S.E., but better. Wesley checked out the multiplayer recently and came away pleasantly surprised. None of you cared, though! Tsk tsk. The two out of three times I upgraded my PC in the last decade it was for strategy games (Ground Control, World in Conflict), and I might just do it again to run Wargame in delicious 1920x1200 on max settings when it's released in Q1 2012.